Beautiful gallery!! 5*×12. I came across it. Im glad I did. I welcome you to visit my gallery when you can. Have a great week! 5creations×☆★☆★☆ beautiful work...where are you? Seven pots x 5 stars, Yek. I haven't heard from you in a while yeah come on by my gallery. 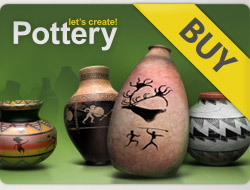 I love your pots.